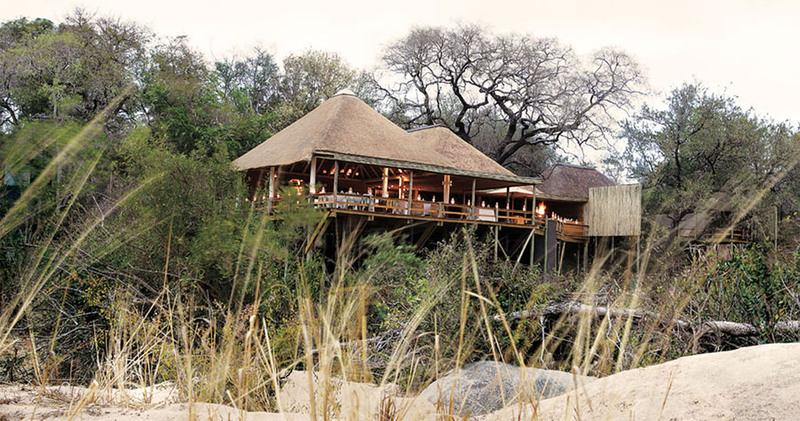 Londolozi Founder’s Camp is one of the luxury Londolozi game lodges located in the Sabi Sands Game Reserve. Londolozi Founder’s Camp is situated next to the well-known Kruger National park and consists of 17 thousand hectares of land which allows you enough space to do plenty of game viewing. Londolozi -which means the ‘protector of all living things’- is one of the best places to watch and encounter leopards. The intimate lodge consists of seven warm and inspiring chalets, all of the very child-friendly and equipped with en-suite bathrooms. 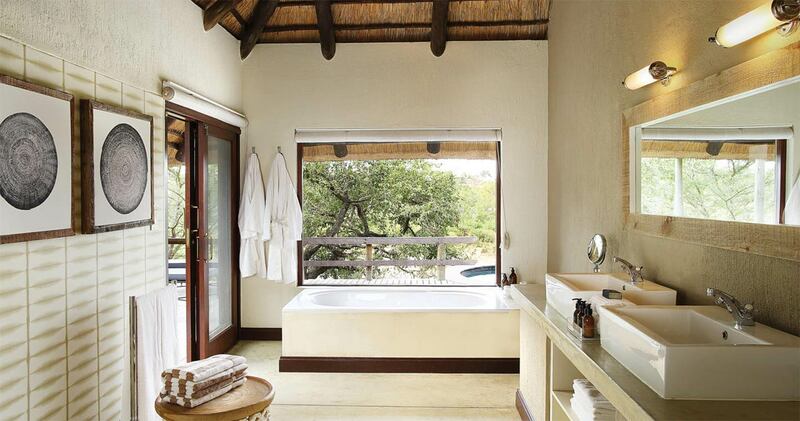 These beautiful bathrooms have a shower and a separate bath. 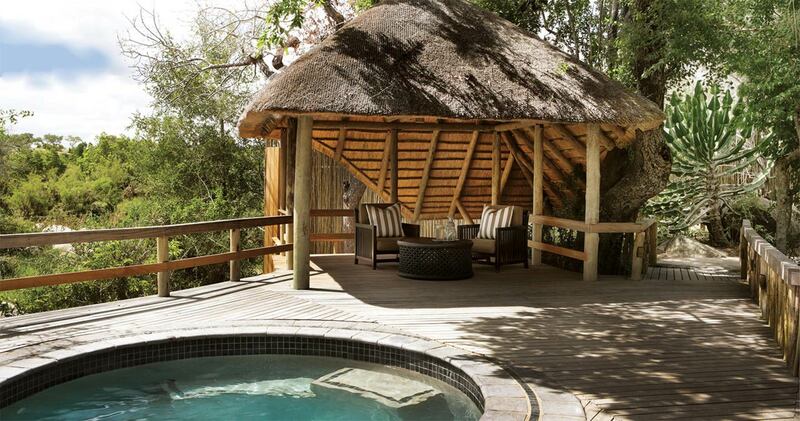 Each suite has its own wooden deck that allows guests to enjoy the fantastic African wilderness. These classic decorated suites will give you an incredible view of the Sand river. 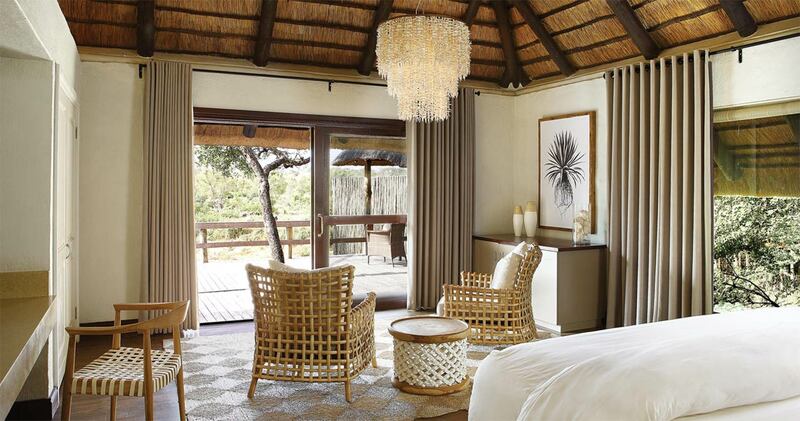 Londolozi Founder’s Camp offers a high quality of service which will guarantee a carefree adventure in South Africa. 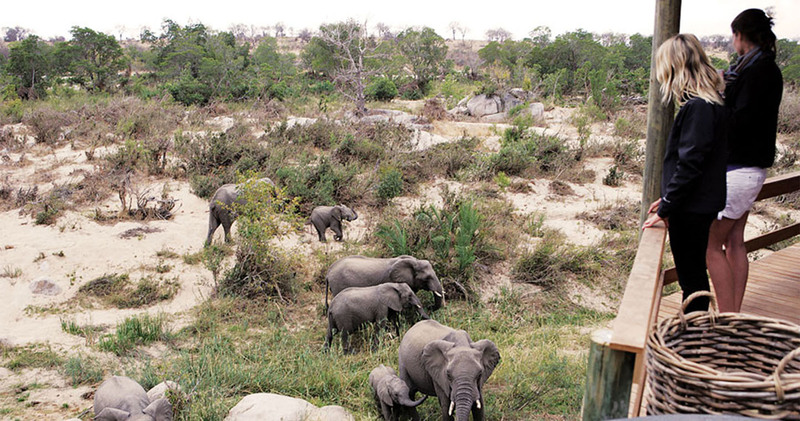 Three hour Big 5 game drives are offered twice a day in the early morning and late afternoon. These adventurous game drives are focused on tracking and experiencing the beautiful wildlife of the spectacular Sabi Sand Game Reserve. For rhino lovers, rhino tracking is a special activity which will focus only on rhinos. In May, June and July the bushveld can be experienced by joining the absolute stillness of the bush walks. You will become one with nature in a game thrill that leads you through a river bed. You can also experience a bush breakfast or an adventure picnic in the spectacular wilderness. Because of the high number of different bird species, bird watching is also an exciting option. Look for the 450 special birds in this lovely environment. For the more active traveller, catch-and-release fishing is also a popular pastime at Londolozi. What better place to enjoy a yoga experience than Londolozi Founder’s Camp. Yoga sessions will take place on the yoga deck beside the people both at beginners and intermediate level. To relax and recover from all the activities, stress can be taken away. 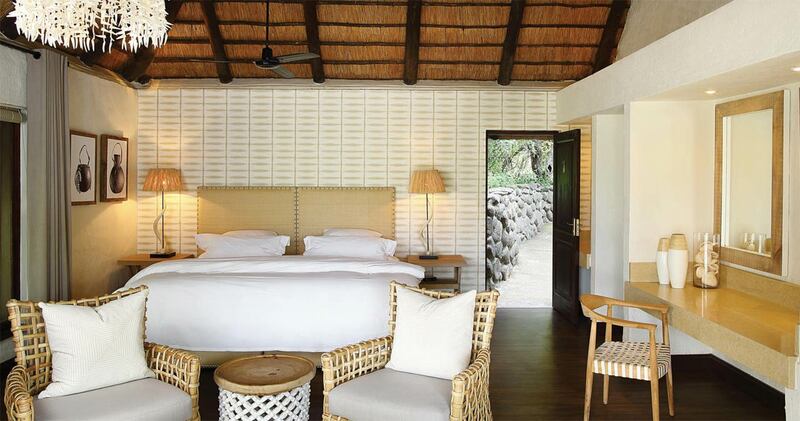 Londolozi offers therapies that include Swedish and Tai massages as well as aromatherapy and Reiki healing. These therapies sessions can be offered in the massage room or in the privacy of your own suite and even outdoors. There is something exciting on offer for every child in Londolozi's specially designed children’s programme. Children will learn from and enjoy nature and many of them will want to become game rangers because of this unforgettable programme. Londolozi in general is simply great. They offer a true five-star experience in every aspect: service is great, the food is very good, great wine list, excellent safaris, and really good rooms. Above all, you are treated like family. Would recommend it without any hesitation and would go back in a heartbeat. 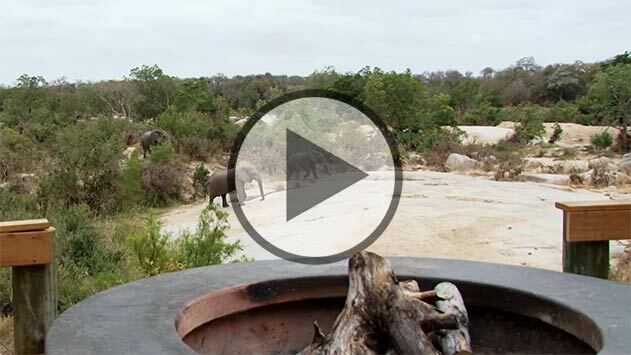 We visited this property as the first of three safari camps and our first time to any. Our expectations were high but the reality was better by far. The dedication to preservation of wild Africa was apparent in many ways. Yet the accomodations rival a top level hotel, going beyond basic comfort. Imagine a deck-level hot tub with a view of the banks of the Sand River! We were cared for as honored guests and the small number of other guests heightened this impression. Good opportunities were available to interact with other guests but we were free to choose our desired level of engagement. We were greatly impressed with the skill displayed by all the staff, along with their genuine desire to make our visit a memorable one. Special events were blended into our stay, even the opportunity to visit the nearbby camp village where we were serenaded by the children and welcomed by older students engaged in learning computer skills. The rangers and trackers at Londolozi Founder's Camp who will guide you during your activities have great knowledge and cultural connection with the area and flora & fauna because most of them grew up in the vicinity of the lodge. 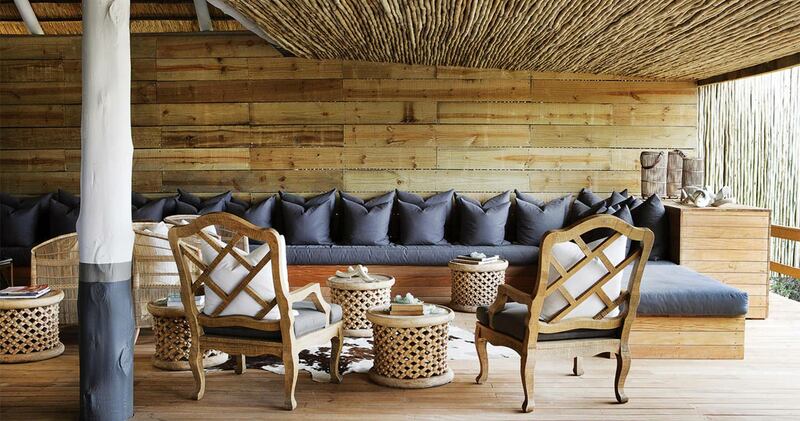 Read all about travelling to Londolozi Founders Camp on our getting to Sabi Sands page. Children over the age of six are welcome at Londolozi Founders Camp. Children between the age of six and eleven pay 50% of the adult rate. We hope you have found all information needed to decide that Londolozi Founders in the Sabi Sands Game Reserve is the perfect place for your next travel adventure. Please fill in the contact form and we will get back to you soon!